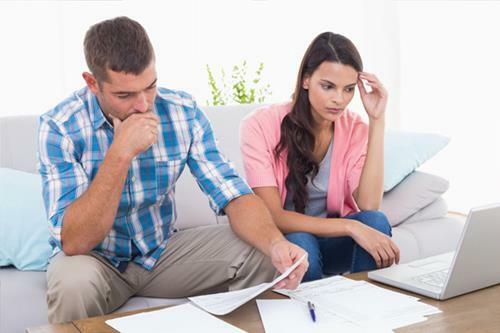 A growing number of Canadians are expressing fears that they might suffer undue hardships in the near future, a problem brought about by the current climate of rising interest rates, according to a new report from insolvency practice MNP Debt. 43% of Canadian households polled in the study said that they are already feeling the effects of higher interest rates. This figure went up from 38% a quarter ago and 35% six months ago. Over half (51%) stated that the upward trend in interest rates would harm their ability to repay their debts. One in three (33%) lamented that rising interest rates could possibly push them towards bankruptcy. Moreover, 46% of the respondents said that they are now $200 or less away from financial insolvency after paying bills and debt obligations at the end of the month. This figure includes 29% who stated that they do not have any wiggle room after paying their bills every month. 47% of those polled do not believe they’ll be able to cover all living and family expenses in the next 12 months without going into further debt. “Nearly half of outstanding mortgages have interest rate renewals within a year so monthly mortgage payments are set to rise for a huge proportion of people. But a staggering percentage of Canadians say they already don’t have any wiggle room at all,” MNP LTD president Grant Bazian said. “The most alarming thing about the results is just how vulnerable Canadians know they are yet they still plan to amass more debt to cover basic living expenses. Households currently showing signs of financial difficulty and living on credit are about to fall into a debt trap if interest rates continue to rise or if they face an unexpected expense,” he added. Meanwhile, a surprising 33% of Canadians indicated a belief that their expected debt situation will become better a year from now, and 47% said that it will improve five years from now.